The Sorbonne-Assas International Law School Summer Course is a 2-weeks course taking place in July in Singapore. This unique program is open to students and professionals who want to have a first approach of international business law. The Sorbonne-Assas International Law School Singapore campus is located in the INSEAD Business School campus, easy access and relaxed environment. The Summer Course is also an opportunity to discover the city of Singapore. She is admitted to practice in New York and Singapore and holds a BCL (civil law) and a LL.B (common law) from McGill University, Canada. She studied Chinese law at the National University of Singapore in the 90s and was one of the first foreign lawyers to be admitted to Singapore. 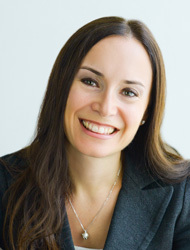 Caroline has been working in Asia for more than 21 years with SMEs, MNCs and foreign banks, advising them in the fields of M&A and intellectual property. With an extensive presence on the ground in Asia, she is well versed in the opportunities and risks associated with most Asian jurisdictions. 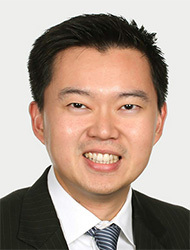 Adrian is a Partner in the Singapore office of Nabarro LLP. He is a lawyer specialising in the energy and infrastructure sector. He is qualified in both English and Singapore law. His previous role as an in-house legal counsel for a multi-national energy company, gives him a particular depth of insight into the energy sector as well as a clear understanding of the business needs of clients. Adrian has had practical experience across Asia, having worked for clients on projects in Singapore, Indonesia, Vietnam, Malaysia, Thailand, Sri Lanka and Mongolia. Markus holds law degrees from the University of Paris I Panthéon Sorbonne (maîtrise, DEA), New York University School of Law (LL.M.) and the European University Institute (Ph.D.). He is admitted to practice in Paris, France. 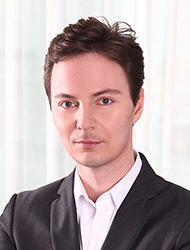 In addition to his responsibilities at Sorbonne Assas International Law School Asia, Markus currently holds academic appointments at Taylor’s University School of Law, Malaysia, and Singapore Management University School of Law where he teaches international sale of goods, international litigation and arbitration and comparative conflict of laws. Prior to embarking on an academic career, Markus Petsche was an assistant counsel at the Secretariat of the International Court of Arbitration of the International Chamber of Commerce and an associate in the international arbitration department of Gide Loyrette Nouel, Paris. SYLLABUS: Key Comparison of various structures, due diligence, structuring a deal taking into accounts tax, IP, HR and other relevant factors. OBJECTIVES AND SKILLS TARGETED: This course will allow attendees to understand and evaluate the pro and cons of setting up different types of legal entities (wholly-owned enterprise, joint venture, representative office and/or branch) across various jurisdictions in the region using different case studies. SYLLABUS: This course covers he legal and contractual scope and treatment applicable to international contracts. OBJECTIVES AND SKILLS TARGETED: Attendees will acquire in-depth knowledge of the legal and contractual mechanisms governing the conclusion and performance of international contracts. SYLLABUS: The Characteristics of banking law at the international level as they pertain to project financing. OBJECTIVES AND SKILLS TARGETED: Acquiring knowledge of international project financing rules and practice (syndicated loans, guarantees, financing of different assets, other project financing). Any student following our Summer Course will fully enjoy all facilities of INSEAD campus: situated with-in Singapore’s knowledge hub, the campus has since grown and covers an area of some 20,000 square meters with 8 amphitheaters, numerous teaching rooms and discussion areas, an auditori-um, full wireless Internet access, a 24-hour library and fitness facility. This course deals mainly with practical case studies and certain key subjects. Participants are required to have a reasonably good level of speaking English as the program will be conducted in English. A Certificate in International Business Law will be issued at the end of the Summer Course for all the participants. We shall organize a visit of Singapore; we will take you on Singapore City Gallery where you will discover the story of the nation’s planning efforts, physical transformation – past, present and future. A visit of the Supreme Court of Singapore and a visit of one of the international organizations based in Singapore, or any institution, bank, law firm, or corporation to give you a much better understanding of the city. Registration is open for everyone interested in Business Law. €1,950 per student; 10% discount if more than 10 students. Fees include: courses, documentation for courses & case studies and participation to incentive events. Fees do not include: airfare & travel expenses in and outside Singapore, housing, insurance, meals and other living expenses.